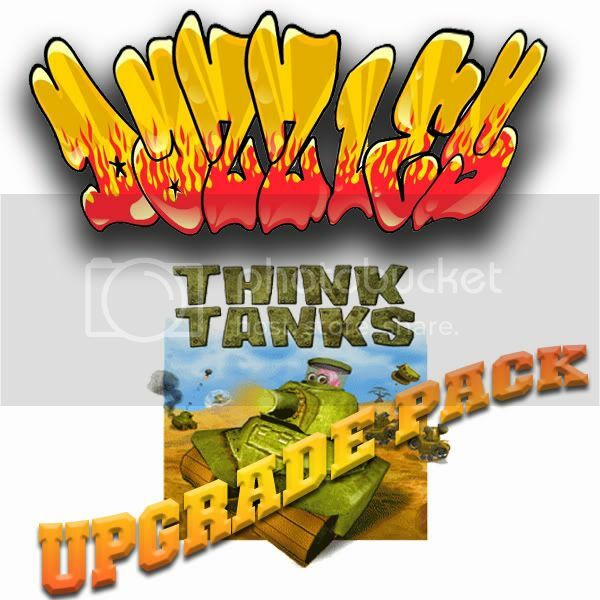 If you have a fresh install of ThinkTanks and want to get up and running quickly or just want to be able to get into all the modded servers then this upgrade pack is just what you need, it contains many extras objects, scripts and skins all preinstalled and ready to go. Inside the pack is an installation guide and instructions on what each script does and how to use the them, please make sure you read this document before installing any of the files. Should you choose to install these files, you do so at your own risk. Last edited by Dazzle on Wed Nov 21, 2007 3:33 am, edited 2 times in total. Hmmm It is a bit of a risk downloading that. How much mb is it? If you were to only read the thread you would see clearly how big the pack is. No! How much mb the pack has? that thread just telling us whats in it. This is my first time downloading anything for TT, so this one seemed to be the easiest and most effective one. On the contrary, I must have done the same procedure for this 4 to 5 times making sure I did it right. But each time my reticles and bullets would be white and square, along with having to load a lot of stuff going into stock maps. Also I didn't have rollerball and any of roos, that i tried to get into atleast. I did have the hotkeys, wingman script, 3x radar, square goal and some other stuff though. If any of this information helps you find out what I did wrong, i'd appreciate if you'd get back to me on it. I have so many times, but it's still not working.